You have almost unlimited choices in the best real estate agents in San Diego who can sell your home. Just like a home on the market needs just one buyer, for a successful sale to occur – you need just one agent, the best real estate agent, out of the multitudes available to effectively sell your home. Selecting the best real estate agent can be a laborious and intimidating process which includes listing interviews that are way too long, relentless real estate agent follow-up telephone calls and emails, and real estate agents all too willing to tell you about themselves. It doesn’t have to be this way . . . .
What sets us apart: We focus on representing Home Sellers Only. This is a vitally important distinction. We make choosing the best real estate agent an easy process for you. Click HERE for your complimentary listing consultation. Our home selling system is robust, effective and designed to ease much of the stress associated with making a move. From our first conversation, you will experience just how easy selling a home can be . . .
For more information on our listing process, please call us at 760-798-9024. I would like to get comps for the house I am selling. Get your comparative market sales activity report here. I would like to schedule a listing appointment with a qualified agent specializing in selling homes in my neighborhood. Schedule a listing consultation here. I want an instant report right now of home sales activity in my neighborhood. Sign up for a market snapshot here delivered instantly to your email. Sixty seven percent of sellers who sold their own property report they would not repeat the experience. The main reasons for this were: difficulty in setting the right price to cause their home to sell, limited marketing knowledge/ability, liability concerns, lack of negotiation skills/experience and time constraints. No two real estate agents are the same! As Professional REALTORS® and Seller’s Only Listing Specialists, we know our market intimately, have the market data that matters to you, a comprehensive marketing plan to successfully sell your home and plenty of outstanding references to make you feel comfortable in your choice. Why choose San Diego real estate agents that specialize in representing home sellers? If you required open-heart surgery, would you choose a surgeon who does this only once in a while or on just a part-time basis? . . .
Would you choose a surgeon who operates on any and all parts of the body? . . .
Or would you choose an expert open-heart surgeon who’s daily regimen of training, experience and continuing education make them the ideal specialist to ensure your health and safety? Of course, you would choose the specialist. Selling your home is also a milestone life event. So, use the same care in choosing your specialist to handle the sale of your home. Now that you know that you should be seeking out a sellers-only listing specialist, read below to find a checklist of the must-have qualities and skills that you need in your listing agent to ensure a successful sale of your home. Please feel free to use this list to ensure that you are choosing wisely to hire the best San Diego real estate agent to sell your home. Have a question? Ask us anything – we are here to help! 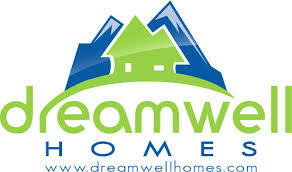 Call (760) 798-9024 or email team@dreamwellhomes.com. ◻︎ You will get all of the above and more. The one exception is that you will get two specialized listing agents working for you instead of just one – doubling the power of your Listing Team to get your home sold! If you are serious about selling your home, we should talk. Simply fill out the contact request form below, or call us at (760) 798-9024 to begin the process! Hire us to sell your home. Contact us today for a free consultation. Check out the latest housing market trend in San Diego County here. What did your neighbor’s house sell for? Are home prices going up? Find out your home’s value below.